The memorial in the Ladywell Cemetery commemorates civilian victims of enemy air raids in the First World War. On 19th October 1917 a Zeppelin dropped a bomb on what was then Glenview Road near Hither Green station. (The road is now part of the extended Nightingale Grove). Three houses were destroyed and others damaged. Two families in particular suffered badly: the Kingston family lost seven children killed; the Milgate family lost four members – the father and three children. They and others (a total of fifteen people) were buried in Heroes Corner. 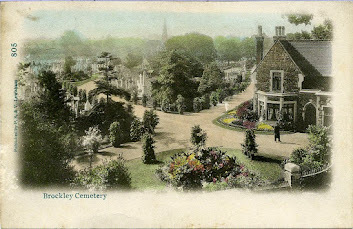 On 19th May 1918 a Gotha bomber dropped a bomb on Sydenham Road, at its junction with Fairlawn Park. Several shops were demolished or damaged. Five members of the Delahoy family, father mother and three daughters, were killed as were four people in the adjoining shop. A total of thirteen people were buried together in a public grave. The original memorial to the victims of these two incidents was erected by public subscription at the position of the first grave. The names of the victims of both events were recorded on the memorial slab. Over a period of time, the slab became weathered and the names indecipherable. 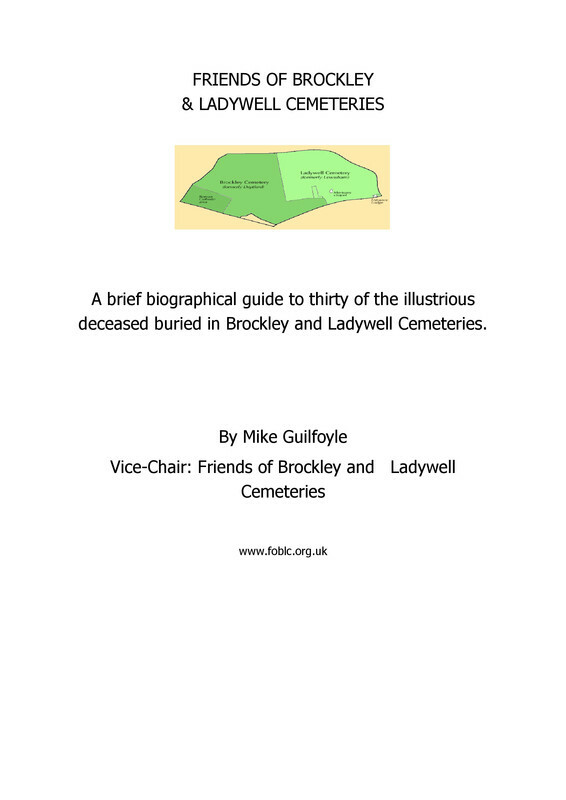 The Friends of Brockley & Ladywell Cemeteries, with the agreement of Lewisham Bereavement Services, instigated a project to restore this memorial, and to refurbish the Deptford civilian memorial in the Brockley Cemetery. The Friends group was successful in its bid for funding to the Heritage Lottery Fund and the Ladywell Ward Assembly. The unveiling of the new Hither Green and Sydenham memorial, and the commemoration of the victims, on Saturday 21st October at 2.30pm marks the completion of the first stage of the project.